Whilst perhaps not quite yet held in the same esteem as Champagne, English sparkling wine has come on leaps and bounds over the past decades, and indeed, some examples are beating their Gallic counterparts in blind taste tests. 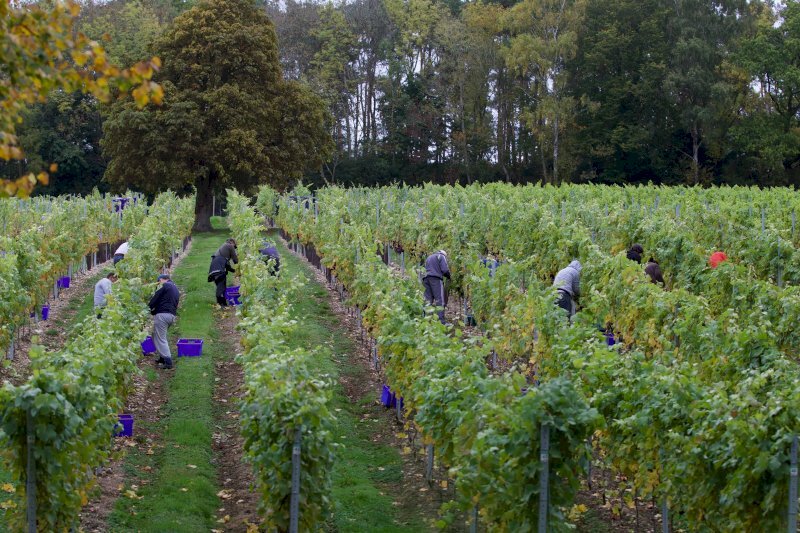 Jan Mirkowski grows the traditional trio of sparkling wine grapes on an estate a mile and a half north north of Henley. Jack Rayner spoke to Jan to find out how his progress on this years-long journey is going. How did you end up tending a vineyard? It's an interesting story; making homebrew has always been a hobby of mine, ever since I got my first house with an airing cupboard – for perhaps 30 years or more. 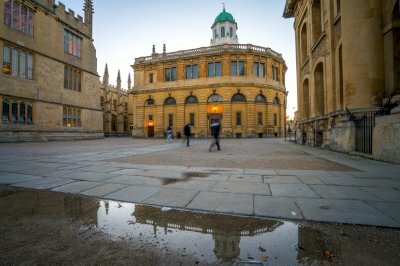 When I got married a dozen years ago and children arrived on the scene, I started talking to my wife about how I could spend less time galavanting round the world pursuing my career in telecommunications, and more time just being around to help with the school run, the homework, and the meals. Just to be a good dad and watch my kids grow up. 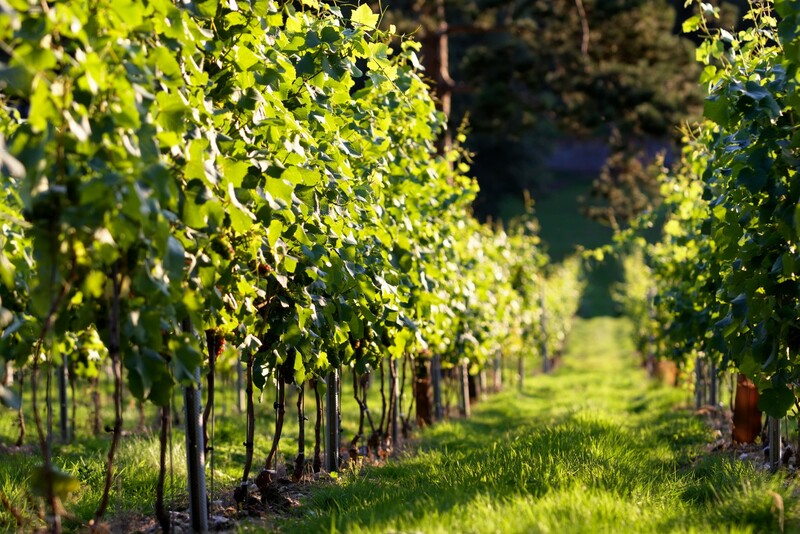 What I really wanted to do was turn a hobby into a career, and English sparkling wine has been doing very well in recent years – I wanted to have a crack at growing grapes and producing wine commercially. How did you go about the task logisitically? We were living in Marlow at the time, so the first thing we had to was find a plot of land. Ten acres is about the maximum that one person can tend on their own, so we were looking for something around that size. Eventually we found a plot at Fairmile which is 14.5 acres, but it ticked all the boxes – it's on a perfect, south-facing slope to catch the maximum amount of sunlight, good water drainage, and frost protection. It's proved to be an excellent piece of land, particularly for a novice like me. We bought it in 2012, planted the grapes in 2013 and picked our first harvest in 2015. When you grow vines, you shouldn't allow the grapes to grow for a couple of years – you have to concentrate all the goodness into growing the trunk of the plant. What grapes are you growing? We call it the classic trio or holy trinity that goes into French Champagne: 40% Pinot Noir, 20% Pinot Meunier, and 40% Chardonnay. Part of any sparkling wine's unique signature is the way the grapes are blended. 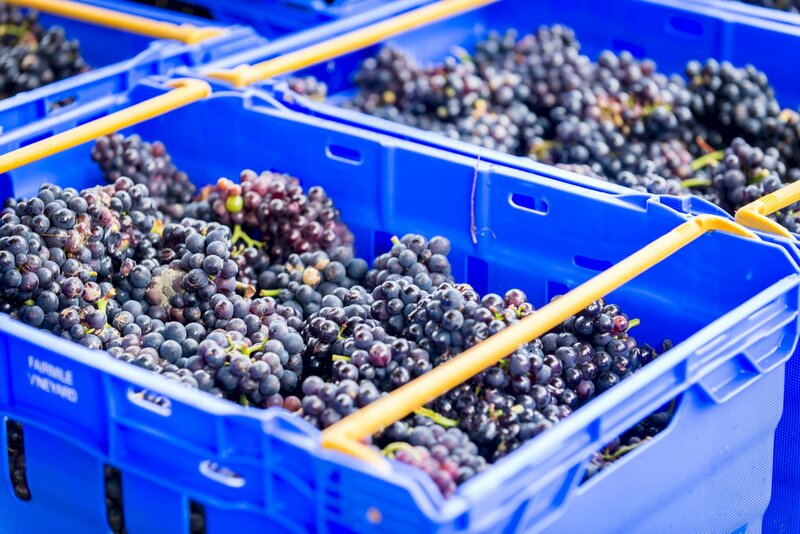 At harvest time, the grapes go onto the back of a lorry to a commercial winery in Hampshire, and the process begins by initially producing three wines – one Pinot Noir, one Pinot Meunier, and one Chardonnay, and it's only round about April time the following year that we get together and start blending them. That's why every sparkling wine is different – it depends what mix you put into the final blend. What is it about this area of the country that keeps producing fabulous wines? In two words, climate change. 30 years ago we would not have been able to plant these grape varieties. There were England vineyards, of course, but they tended to focus more on the cool-climate, Germanic style of grape. Anecdotally, we hear of how it's getting hotter and hotter every year, and if you look at Met Office graphs, there's been a steady rise in global temperatures. Now, here in the Thames Valley, we have the same climate that the Champagne region had during the 1970s. Also, we have the same soil structure as Champagne – in geological terms we're very close. This vein of soil goes across the South Downs, right up to the white cliffs of Dover, underneath the English Channel, and pops up on the other side. If you sent a sample of our soil away for analysis, they wouldn't really be able to tell it apart from soil from Champagne. It's chalky and flinty – the chalk contains millions of microscopic pores which hold water. This big slope we're on acts as a giant sponge and the vines put down deep roots, so even during scorching heat they have no trouble finding water. They're absolutely flourishing. 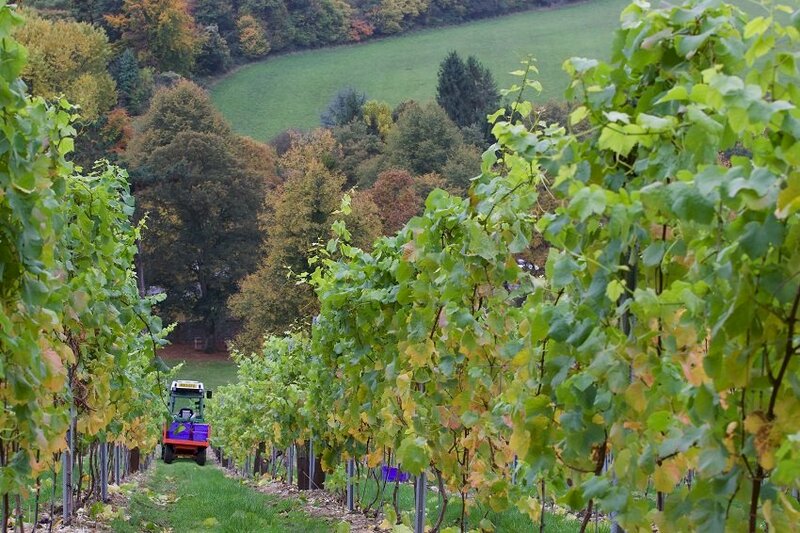 Which other British sparkling wines do you particularly admire? Ah, you've touched on a good point here – legally, it's 'English sparkling wine', rather than 'British'. 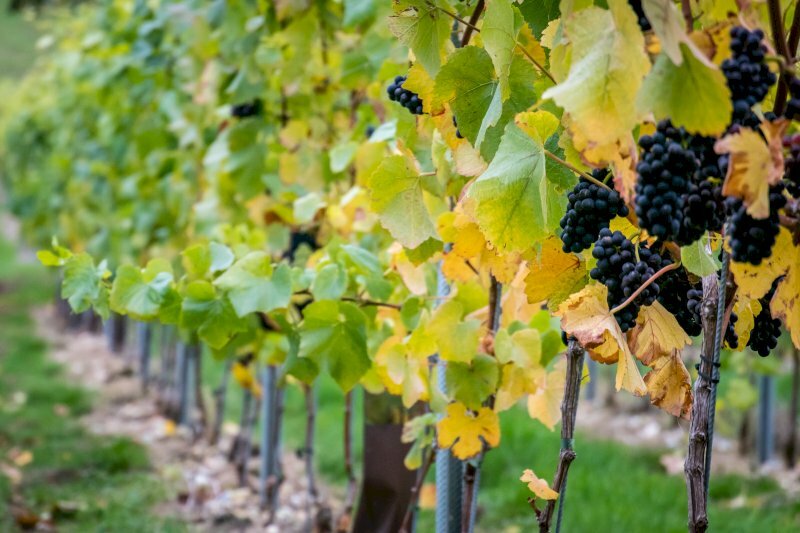 'English' sparkling wines are made from grapes grown in England, but if you refer to 'British' wines, they can be made from grapes imported from abroad, or even grape concentrate. My advice to your readers is if you see an 'English' wine on the shelf, whether it's still or sparkling, give it a try. You'll be pleasantly surprised. When is your wine going to become available? I have contacts who are willing and able to wholesale it almost straight away, and if you keep an eye on our website, you'll start to see names of retailers pop up. We are also setting up an online shop, so you'll be able to buy the wine directly from us.